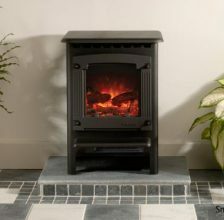 By not having a chimney or flue does not mean that you don’t have to miss out on having a beautiful stove. An electric stove can be installed almost anywhere as long as there is a plug socket nearby. This gives you complete flexibility to install your new electric stove almost anywhere in your home! 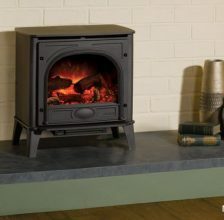 We have an extensive choice of electric stoves available to purchase online from all the leading brands. 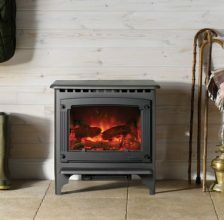 Some of the brands that we have carefully selected include ACR Stoves, Carron Stoves, Dovre Stoves and Gazco Stoves. 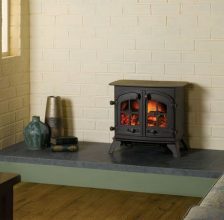 Our choices of designs include traditional styles stoves that look perfect in traditional cottages or vintage styled rooms and modern electric stoves that are perfect for new build homes or modern apartments. 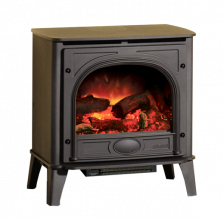 Leeds Stove Centre are confident that we have the perfect electric stove for everyone. One of our most popular electric stoves is the Yeoman Dartmoor (Pictured) this fantastic stove is brought to life with their VeriFlame technology. 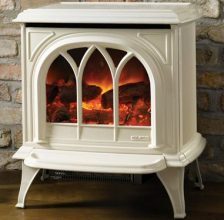 This unique technology will allow you to enjoy up to 25 combinations of flame and glows to offer a remarkably authentic log-effect fire. 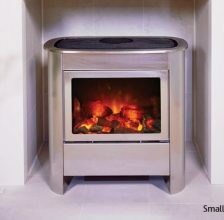 The stove also comes complete with a remote control, perfect for a lazy winter’s night in. 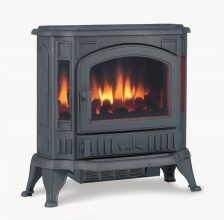 In addition to our online stove sales, we also have a team of stove installers who are able to install your new electric stove to the highest of standards. Our team have a huge amount of experience when it comes to the installation of electric stoves. 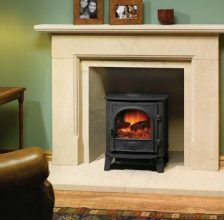 Additionally we can also install hearths and surrounds if required. – Don’t try to install your electric stove – leave it to the professionals.